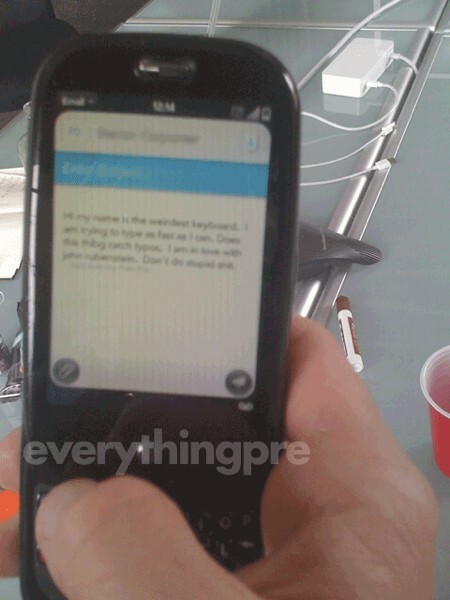 It's not clear exactly where these pics came from, but here's the Palm Pre, running what appears to be a YouTube app and the email app. We're of two minds on these: there's no doubt there are devices in the wild, so these shots could be totally real, but something about them just feels off -- that "Search All Videos" font seems way more Sprint than Palm, for example. Here's hoping we find out what's what real soon. One more shot after the break. Update: One more pic here, showing it off next to an iPhone.